Hope you are enjoying your great journey with CashFear Company. We are greatly honored to appreciate you for your participation in CashFear Strategies, This is a private invitation for you to book your position at the top of the business plan (following your sponsor) in the Super Strategy from CashFearCompany (SuperCashFear [SCF]) that would start on 21/January/2015 or might be delayed to 21/February/2015 according to programmers' Hard Disk problem trying to recover it, let's hope everything become great very soon. We will keep you updated with the news about launching the website once the programmers finish, just keep calm and enjoy the moment. v The presentation of the SCF as 4 parts (Intro, Products, Business Plan, Motivation). v The file (SCF Booking Top of World Positions Details) in order to understand everything about getting your position in the SuperCashFear in the pre-launch period. 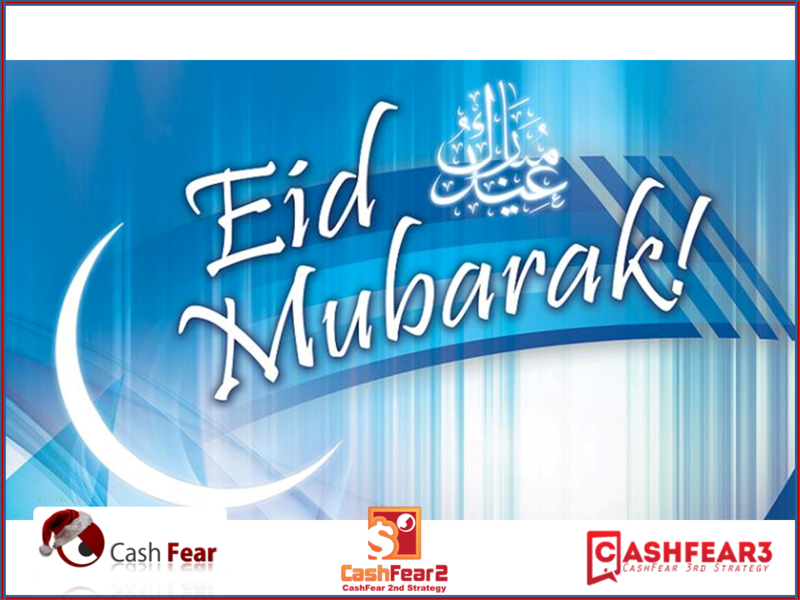 Thank you for supporting your company CashFear and helping it to spread widely and reach the rest of the world, Thank You. Take the exam on any course and request the certificate, if your success percentage is more than 80%, you will get the exam fee back to your account (Free Exam) :). No Limits. enjoy this promo on all courses and all exams :). This promotion is available from right now till 6/October/2014 at 8:00 pm GMT. Renew your subscription or join now and you will get 3 months active membership not 1 :) + 5,000 Ad Credits not 1,000 :). This promotion is available from right now till 21/October/2014 at 8:00 pm GMT. Order the CashFear Octa Phone right now (CF-Ophone) with our special price as mentioned on the website :), the CF-Ophone price will increase with amount of $100 within 35 days from now. that means :) Ordering Now makes you save $100 :). This promotion is available from right now till 4/November/2014 at 8:00 pm GMT. We are so glad to offer some new banners for free inside your account so you can use them for wide advertising and referring. 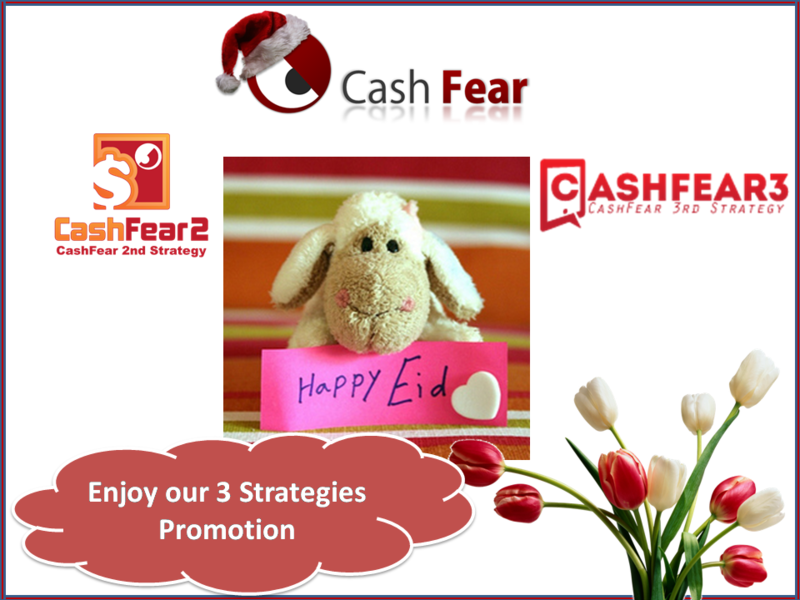 We are very delighted to wish Happy Eid with CashFear2 and because of this Feast we are extending our CF2: Hot Promotion for you :). Any existing member extending his/her subscription or any new member joining will get 90 Days Subscription Period (not 30 days) + 3 E-books (not 1 E-book) + 5,000 Advertising Credits (not 1,000 Advertising Credits). This Promotion is valid from 27/July/2014 to 27/August/2014.
" CASHFEAR2 changed my life and became better. Thanks CashFear and CashFear2 Abdelaziz Sayed "